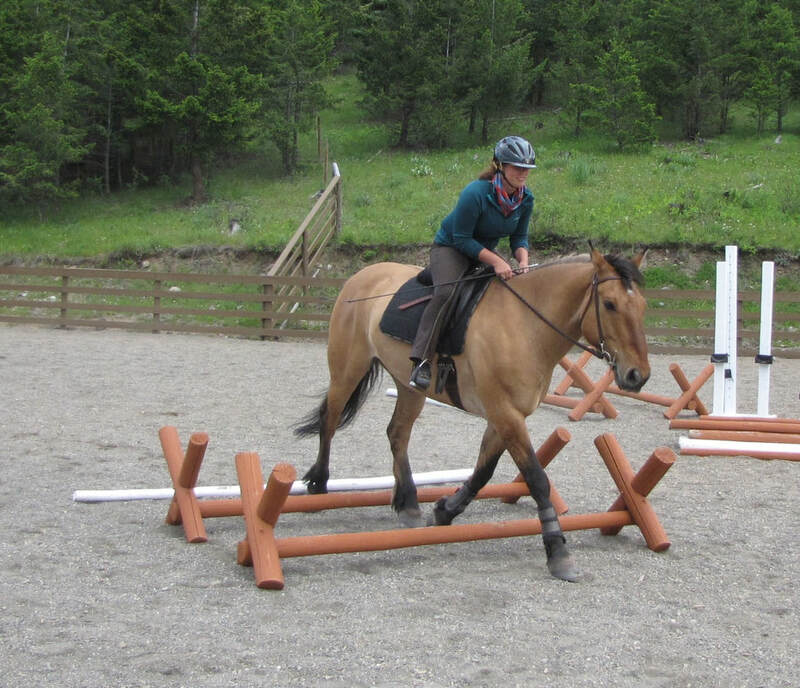 For beginners or for those who are getting back into riding (at this stage it does not matter if you aim to specialize in Western or English riding later on), longeing lessons are good to establish balance,coordination, trust, feel and a secure seat without having to worry about directing the horse. 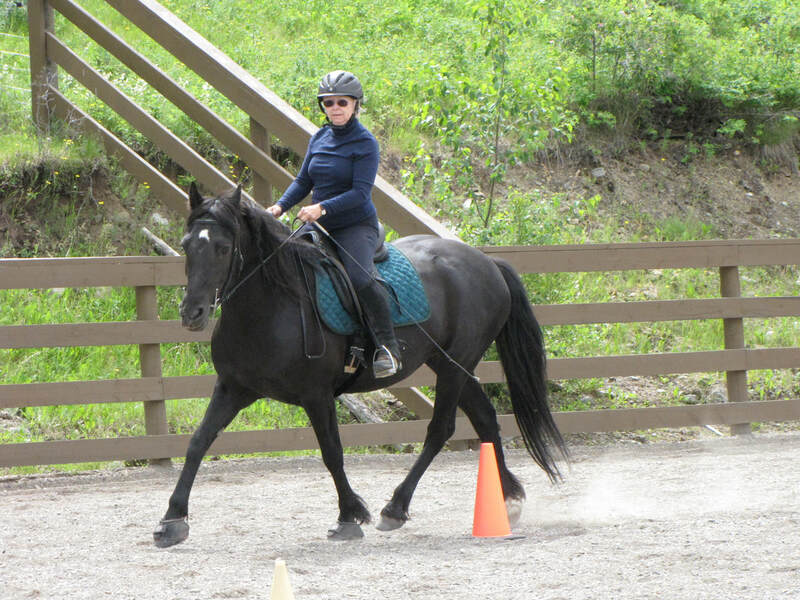 Later, off the longe line you will learn the aids to control the horse in the arena and on the trail. 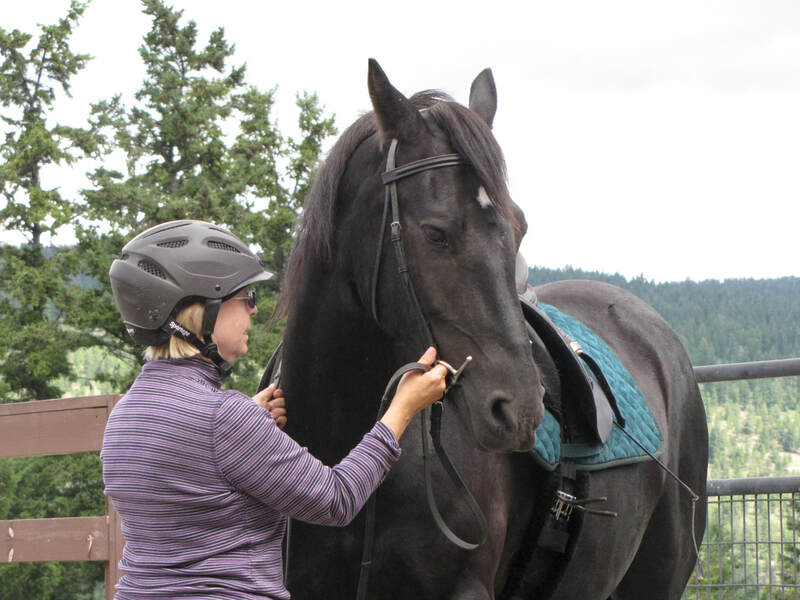 Grooming, tacking up and basic ground work are part of each lesson and important to safely handle, get to know and enjoy horses. 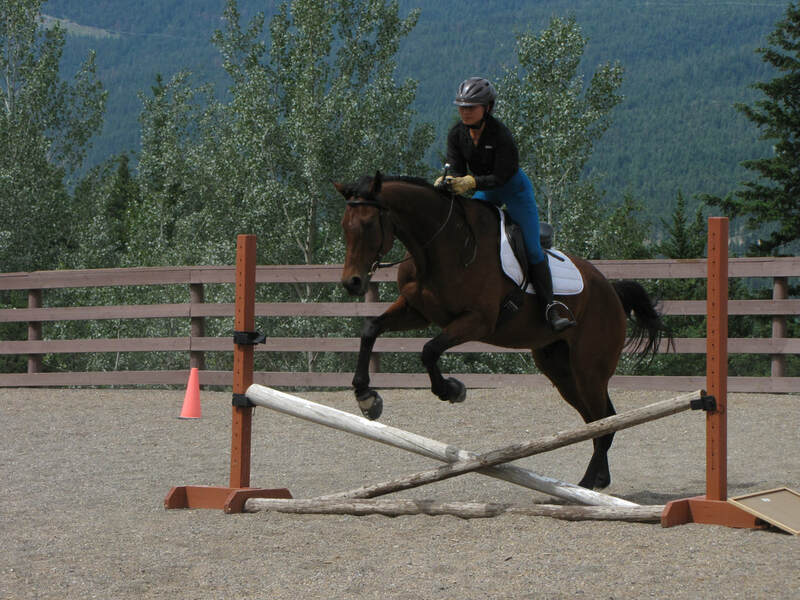 Are the basics of training young horses and are skills that will benefit most riders. 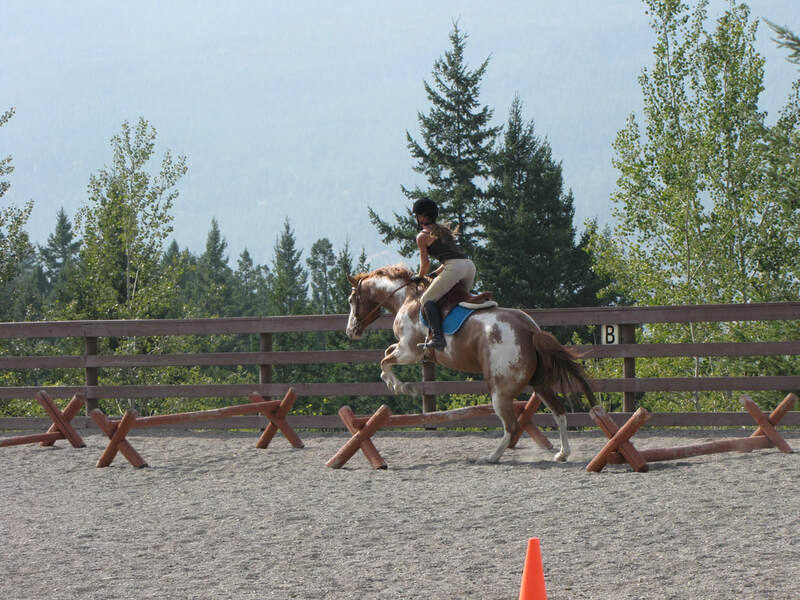 Horsemanship comes first for me, setting a base for safe handling and boundaries of what is ok and what is not ok for the horse to do around us. The interaction on the ground with the horse sets the stage for anything else we want to do with him and who is going to 'make who's feet move' which is one of the pecking order facts in horse interaction. Longeing can be creative with straight lines, larger and small circles, over poles and even jumps without the use of auxiliary side reins and is great as a warm up in cold weather, explaining our voice commands to the horse, to get familiar in new places and to let the horse express himself if he is tense or nervous and riding doesn't seem like the safest thing to do at that time. Longeing is not used to 'make the horse tired' but to communicate with him and see what his mental and physical state of mind is. 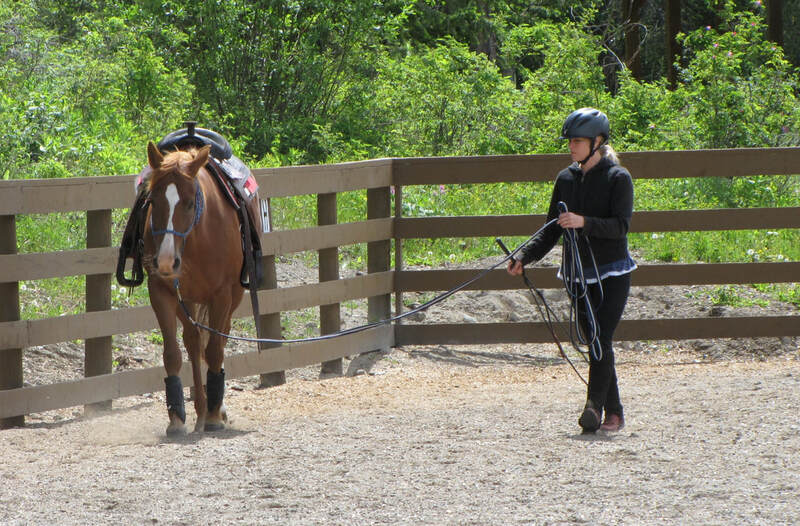 In hand work can be a little challenging at first but is a great way to explain the aids of the bit to the horse and one can closely observe the horses expression and what his body is doing as well as learning to differentiate the actions of the bit. If you are interested in riding your horse with lighter and less aids, developing good muscling and balance, improving and keeping the horse flexible so he enjoys being ridden, doing our best so he stays sound and healthy for as long as possible and finding a clear language of aids both rider and horse understand, the principles of Philippe Karl's Legerete training can greatly help to improve your riding and partnership with your horse partner. 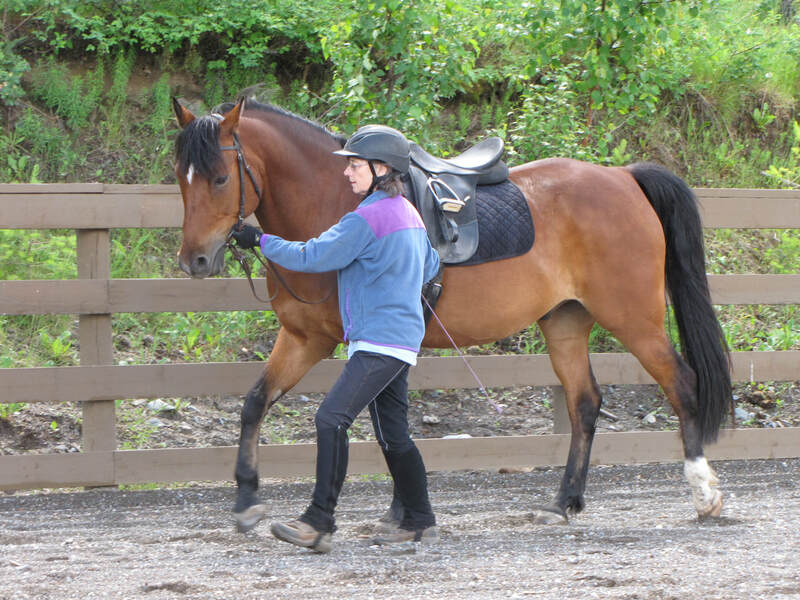 The basics are suitable for all disciplines as we aim to teach the horse the language of our aids while he stays relaxed, focused and happy to work with us. As a continuation the work is based on Dressage movements and different figures and patterns. They do have the purpose of building correct muscling, create flexibility, impulsion, balance, straightness and prepare for collection. 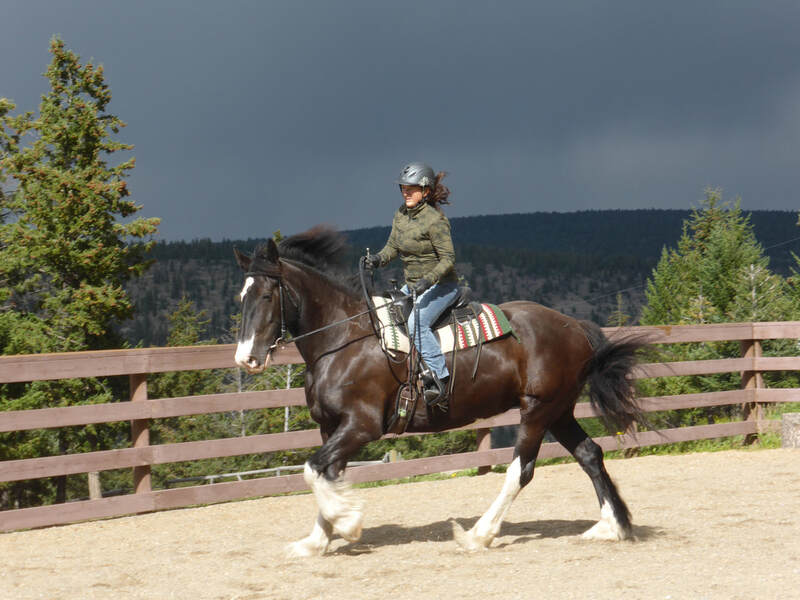 Many different disciplines profit from this training to keep their horses balanced, even and sound, relaxed, supple, responsive and light (Dressage and Western Dressage, Working Equitation, Jumping, Endurance, trail horses, driving horses, Western event horses...). 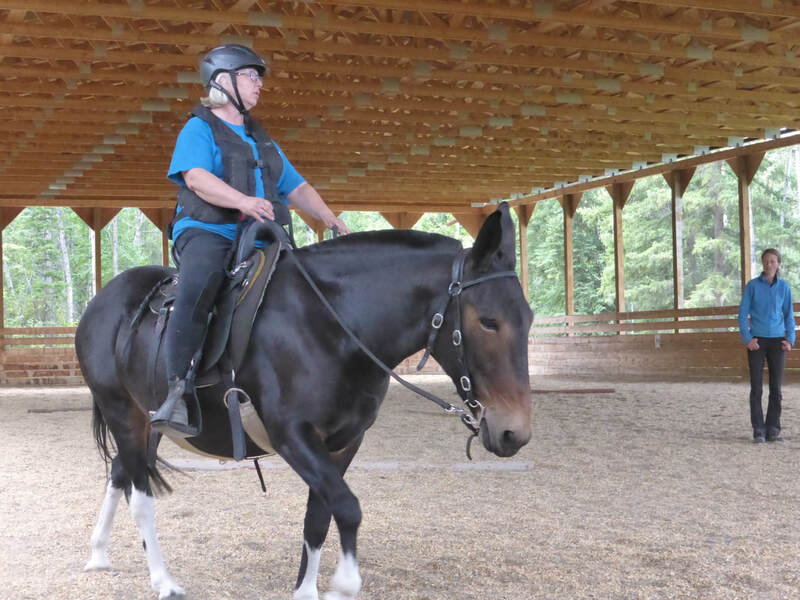 For variety, fun and to improve the horses coordination and muscling I enjoy using a variety of exercises over poles and raised poles in combination with dressage movements. 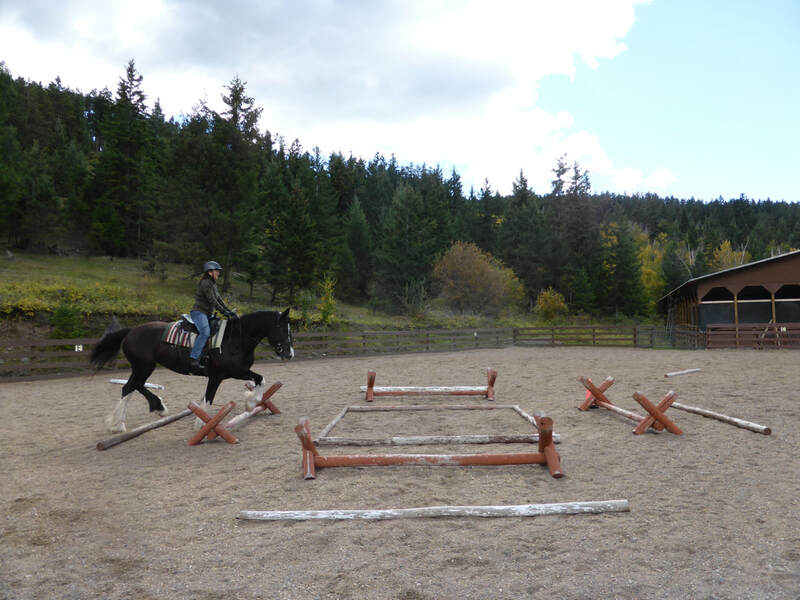 Low gymnastic jumping is also a great way to add variety and challenge coordination,balance and different muscles for horse and rider! 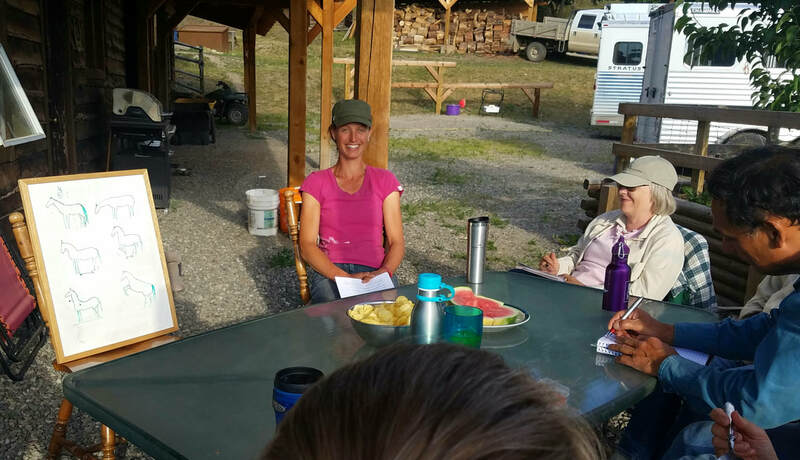 Come and camp here for the weekend, 6 pens and 3 stalls are available, private or semi private lessons, group sessions for groundwork and in hand work at the start of each day, trail rides, evening pot-luck BBQ get together and a evening theory session. You dont have to come for all 3 days, spectators are welcome free of charge. Camping is free, outhouse is available but you will have to bring your drinking water, our water is fine for horses. There is a guest cabin with power, bathroom and small kitchen. Dogs are welcome too if they are good with other dogs and animals (chicken, cats and horses). Please contact me if you are interested in participating in any of theses locations. *Pen or stall board is $10 per night self board, please bring your own feed and water buckets.